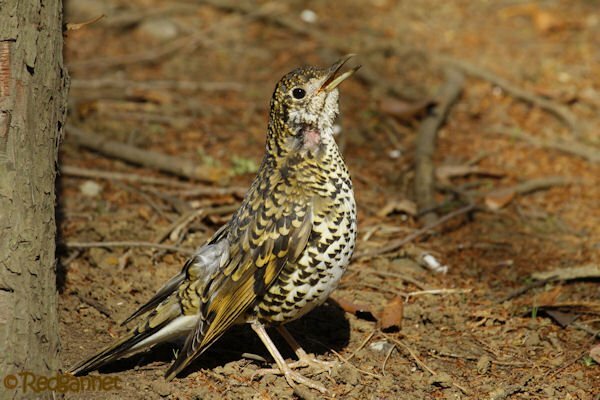 On a recent visit to Tokyo, Japan, I came across a beautiful bird that I took to be a White’s Thrush, Zoothera dauma. It has wonderful brassy/golden markings on its back and coverts and crisp crescents on its breast and belly. In flight, it shows a bright flash of white separated by a black bar. It looked as if it may have sustained an injury, but it appeared to be able to feed itself well enough. My confusion came as I tried to enter it onto an eBird checklist. 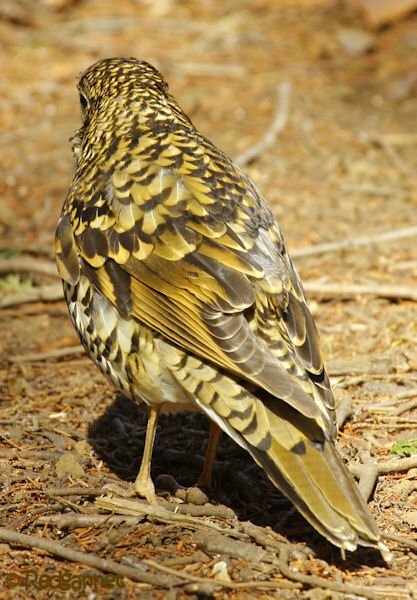 White’s Thrush is now Zoothera aurea and Z. dauma, the senior title, has been retained by the Scaly Thrush. There must have been a split since our last encounter in Hong Kong over 21 years ago. 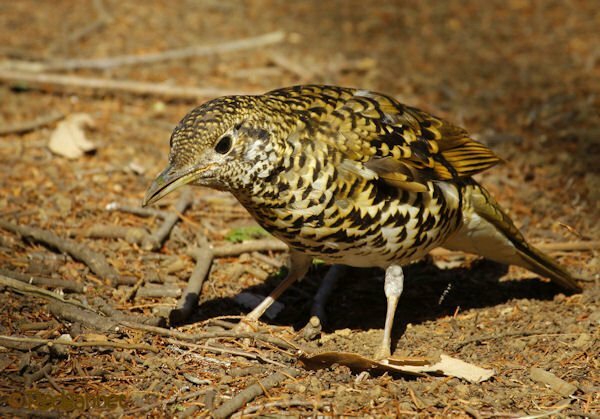 My Japanese field guide, published in 1982, calls my bird White’s Ground Thrush and prefers the Turdus genus. Two different editions (twenty two and sixteen years out of date) of my Hong Kong guide use the same illustration and merely change the name from White’s Thrush (Scaly Thrush), to Scaly Thrush, using Zootheera dauma in both cases. Species searches on eBird reveal that both species might be found in Tokyo, though White’s is much more common, with a few contemporary sightings. So I resorted to the internet. How I wish now that I had not. There is scant information there about the split and less still about the reason for allocating a tick to each. Where there is a description of one of the birds, the author fails to mention which one. Images are regularly mislabelled and who knows who to trust? One author hedged his bets by using 15 different names to describe one picture. In future guys, if you don’t know, just say so (for the record, so far, I don’t know either). Scaly Thrush Zoothera dauma: Scaly Thrush is split into four species: the migratory northern White’s Thrush of eastern Russia and northeastern China, wintering in southeast Asia; the largely resident Scaly Thrush that occurs from northeastern India (wintering to central-northern India) through Malaysia and with an island endemic outlier population on Amami Island of southern Japan; the island endemic Sri Lanka Thrush; and the southern India endemic Nilgiri Thrush which occurs mostly in the western Ghats. 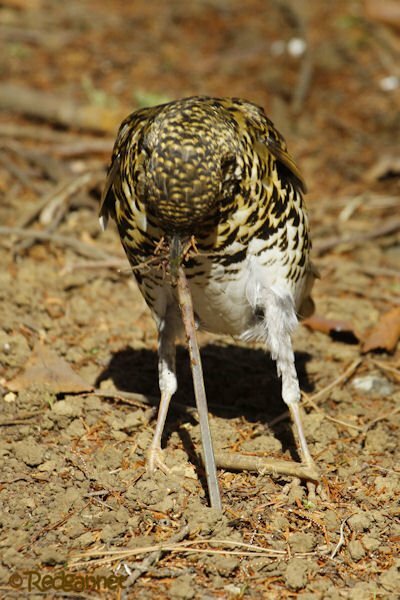 It indicates that the White’s Thrush has a range which is further north and east, but does not rule out the Scaly Thrush. Clicking on the map links will reveal that they have both been recorded in Tokyo. It also suggests that my field guides may have been a bit precocious in using “White’s Thrush” so long ago. 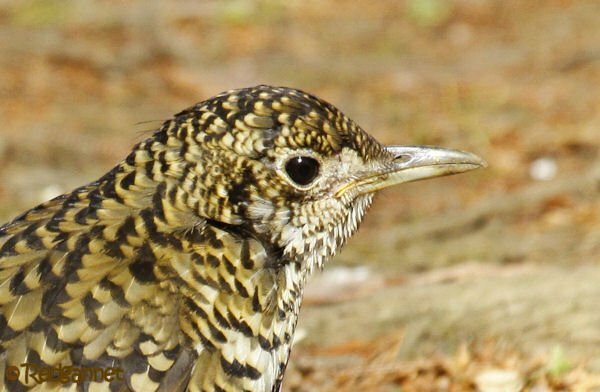 Scaly Thrush is split into four species, following Rasmussen and Anderton (2005): White’s Thrush Zoothera aurea; Scaly Thrush Zoothera dauma; Nilgiri Thrush Zoothera neilgherriensis; and Sri Lanka Thrush Zoothera imbricata. 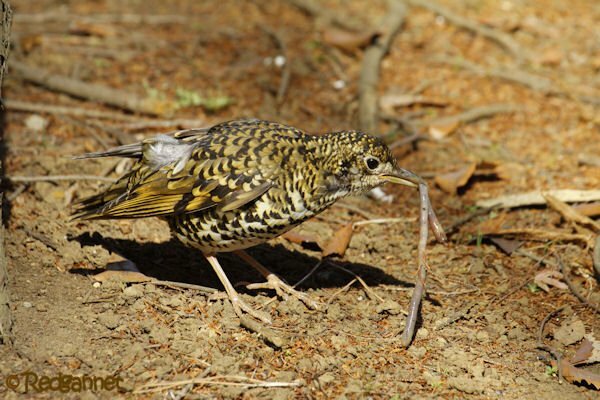 White’s Thrush contains two subspecies, aurea and toratugumi; and Scaly Thrush includes the subspecies dauma, major, and horsfieldi, each of which also is recogized as a monotypic group. Nilgiri Thrush and Sri Lanka Thrush are monotypic. At this point I need to make a decision between my allegiance to www.eBird.org or the very enlightening and extensive work of www.hbw.com I am not qualified to do so by any scientific means, but I enter my sightings on eBird and until I can come up with a specific answer, the entry will read White’s/Scaly Thrush which is most unsatisfactory. So what does a chap do in this position? He consults his birdy pal Graham, that’s what. Graham has appeared on the pages of 10,000 Birds before as a guest writer and has an experienced understanding of the flight attendant/birder complex, being one himself. He also loves a challenge that involves poking around the internet and making comparisons to dusty old tomes (again, being one himself). Whilst Graham concurred that White’s was the favourite by range, his various texts describing the physical indicators (most of which are comparative) it could not conclusively eliminate either of my options. My final port of call was to the Oriental Bird Club from whom I received probably the most reliable advice. Mr B.R. Sykes on behalf of the OBC told me that I had touched on one the the most controversial problems in Asian taxonomy and that the matter is yet to be resolved. He went further and suggested that insufficient care had been taken in labelling some of the internet images, but that the pictures of my bird were consistent with the Z.a.toratugumi race. So, a reasonable decision could be made by eliminating the geographical alternatives which are endemic elsewhere. Z.a. toratugumi, the northerly form of the migratory species that occurs in Japan should be the obvious choice, but by this logic, all such thrushes seen in Japan (apart from Amami Island) should be White’s. Seems acceptable, why all the fuss? So, why do eBird still give me an option to select Scaly Thrush, or worse still, White’s/Scaly Thrush? Of course now I will have to go back and reassess that bird from Hong Kong all those years ago. Graham…., Mr.Sykes…?